In order to determine the leading position in the field of integration of the POS system, NCR supports strategic connections and partnerships that expand the offer of our solutions. This approach allows us to complement our horizontal offerings through the best-in-class hardware, software, tools and services, and offer integrated solutions tailored to our customers’ needs. Partnership allows each party to develop its basic capabilities and complement each other with strength. They combine specialized skills, expertise and resources and increase the speed of market access. In our experience, this is a good solution for us, our partners and, most importantly, for our customers. It is a strategy that creates synergies more powerful and comprehensive than any company could provide – a strategy in which parts are indeed greater than the whole. Do you think all point-of-sale (POS) terminals are created equally? Well think again. Our latest addition to our RealPOS™ family will surprise you with its stylish all-in-one design, high performance, versatility, and the ruggedness you expect from a leader in POS. 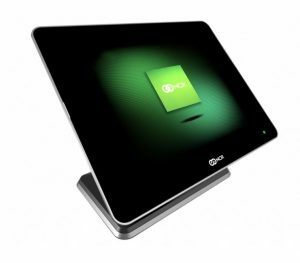 It’s the first all-in-one POS to feature the 4th generation Intel® Core™ processor family and so much more. NCR offers a point of sale RealPOS printer family with the features and functionality you need to transform your point of sale or retail space. 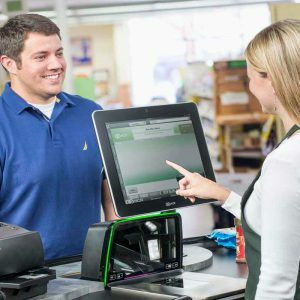 Whether you need a multifunction printer that can process checks or a simple thermal receipt printer for quick and easy receipts, NCR has you covered. The company that invented the POS receipt has taken thermal printing into the next generation with the introduction of two-sided thermal receipt printing technology. Simultaneously print on both sides of the receipt can save you money while promoting products and services within your store, delivering improved customer satisfaction and a greater return on investment. 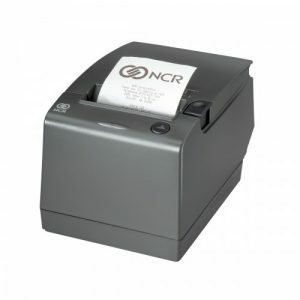 NCR RealPOS Printers are supported by NCR Interactive Printer Solutions’ line of printer supplies for your store. Check out our RealPOS Printer family now! NCR transformed shopping more than 40 years ago when it introduced bar code scanning to the retailers around the world. Today, as a leading provider of retail scanning technology, NCR continues to make every day easier. NCR is transforming retail stores around the world with its RealScan family of scanners, including handheld, presentation and fixed-position scanners designed to reduce training while improving accuracy and speed. Highly flexible and easy to use, NCR RealScan Scanners can adapt to almost any check stand, store, space and budget. Check out our RealScan family now! The checkout is a key part of a customer’s overall shopping experience, and it is the last impression a customer has of your store and of your brand. Getting the checkout right is a top priority for you and for us. Our peripherals are integral parts of any point-of-sale solution. 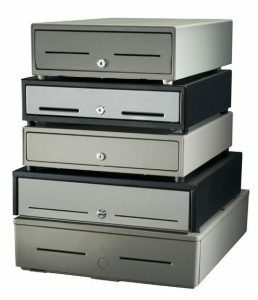 We offer a variety of options for displays, cash drawers, keyboards, and even the NCR DynaKey, an easy to use cashier interface designed to reduce training time and minimize errors. Pair any of our peripherals with our point-of-sale terminals to create a winning solution.